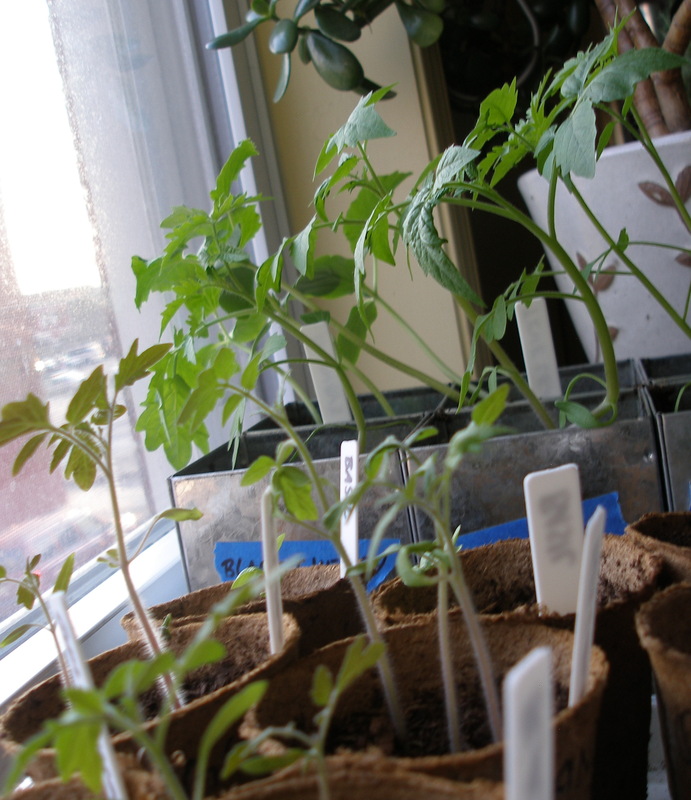 Not that this is the best picture, but the scrawny little seedlings in the foreground were planted 10 days before (on March 13) the thriving monsters in the background. Any ideas why? The only variable: the monsters were planted in sterile soil and those in the smaller peat pots were not. Could that be it?